Arachnid is one of the best-known names in the world of darts game. It is one of the startup company who makes electronic dartboards back in 1975, and they have over 40 years of experience making consumers satisfied, and that’s why it has the name for recognition. So, with Arachnid Cricket Pro 800, you know you’ve just got what you’re looking for, and it’s some good quality. 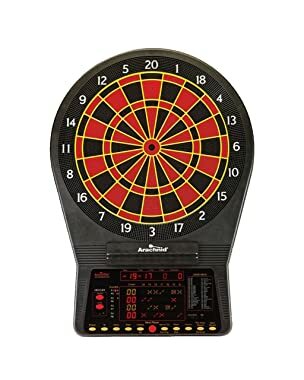 The dartboard is an electronic dart board with high quality and is pretty much durable, and has a regulation for its size. It helps you boost your enthusiasm and can make you become a professional as if as you really are in tournaments either with friends or family, and anywhere, either at home or when you’re out – and like I said, it can make you feel like you’re in a tournament so, this as well is perfect for tournaments. And if you’re a beginner, then this could also be the right one, because of its quality which reduces bounce outs, and the learning curve, like you’re already a pro, to begin with. Below you will see all its specifications. As we compare it to the other models of the Arachnid Cricket Pro. 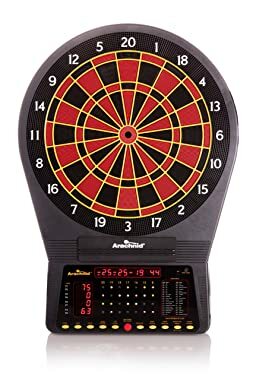 Arachnid Cricket Pro 800 has approximate dimensions of 30x22x3 inches which makes pretty decent for its size as electronic dart boards. May look a bit bulkier than the other two and has more features. It weights for about 10lbs, which is a bit light for a dartboard, and it comes in between the Cricket pro 750 and 900. Its target area has a regulation size of 15.5″, so it makes it look perfect not just for fun or practice but for a tournament because it has the same size board similar to a tournament or competition. One of its biggest difference between the two models is its games and variations. The 750 has the fewest and the 900 has the most. Which make it more balanced. The Arachnid Cricket Pro 800 shows a solid 40 games and 179 variations not just for amateurs, but for professionals as well. And as far as electronic dartboard goes, the Arachnid Cricket Pro 800 has just a few honest minor issues that can keep you going. It works great, family and tournament-friendly that you will love. You play different games on it, and you can easily see the scores, players, etc on the display. There are many available options for Arachnid Cricket Pro 800 when playing different games. Easy to set up, but it’s recommended to use both screws to help keep it level. As for its downside, the darts often get stuck, like you have to pull them out hard to get them out, which can result in a lot of broken and bent tips. 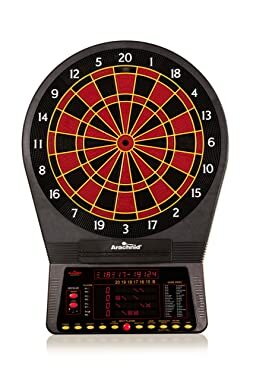 Keep in mind though, it’s the electronic board and not the darts. Buttons on the board can be sticky for quite some time and you have to press them hard or even twice to get it to register what you want. Overall, IT’S A BEST DARTBOARD. 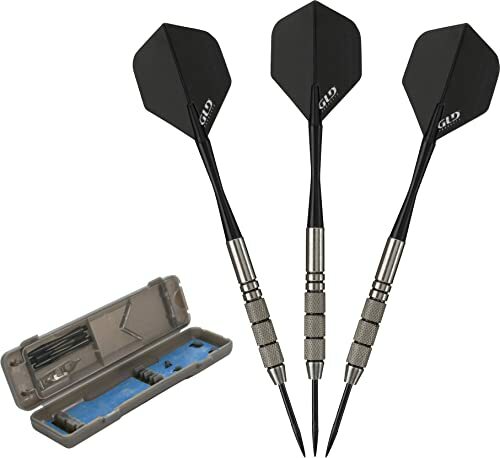 What Is The Best Darts To Buy? The thrill of playing the dart game. It gives you chills and excitement of throwing the darts into the board and it comes with a friendly rivalry, playing darts is one of the best sports you can spend your time with friends or families. Darts may not be a mainstream popular sport like football or tennis, however, it can always be played at the top professional level competing. Darts is a fun and exciting sport to both who watch and who plays. The skills you can have with it is infinitely and definitely high which keeps pushing the boundaries. And with the right equipment, it can get you at the top of your game. Keep in mind that darts are not just items that you can always get, so consider making research properly. 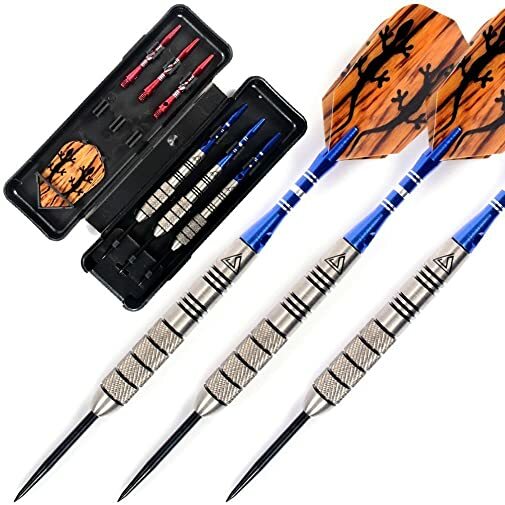 It is a nice quality darts and has no issues with different variances in terms of weight. It is even very well priced and you would be glad to see that it brings two sets of shafts and flights. 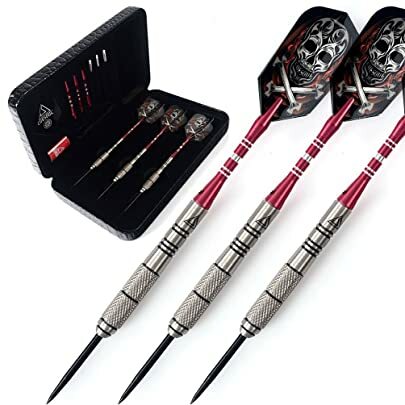 The grip on these darts are great, it has an area behind the balance point that can allow you to place your thumb consistently which can help you get a consistent grip on the darts. These darts are also highly recommended. They are light enough to be able for you to throw easily and heavy enough to hit hard when you needed to. They are also exceptionally thin, which is awesome, it helps you to avoid hitting them when you throw. If you’re looking for a perfectly weighted darts, then this one is the right choice. Even if you throw this thousands of times it can still go very accurate and concise, which is nice. You can even be able to throw tight groupings when you needed to, and where you need them. The item is not that pricey so it’s a good investment for the sport to set you to the A game. You can able to compete with friends with this professional level darts very well. A very excellent darts for beginners and professionals. The darts can be weightful but you can feel it very easy to hold and grip. You can practice as much as you want because it lasts longer than expected. This darts is eco-friendly as well with high quality. Weightful in a good way that fly’s nice and has a small barrel for a tight group. It’s one of the best darts out there even for the price! One of the very well-balanced out there that can compete with other brands. You can even try several configurations such as micro shafts, long shafts, nylon, aluminum, wire, and four different shaped flights, and the stock setup looks exactly what you are buying. They fly true and hit hard, and has minimal pop out. You can hold them very lightly that can help you with a clean release. Flights look very unique, being almost rectangular and that they are fairly lightweight and can still go and feel accurate for each throw. One bonus is that the shafts are really eye-catching. 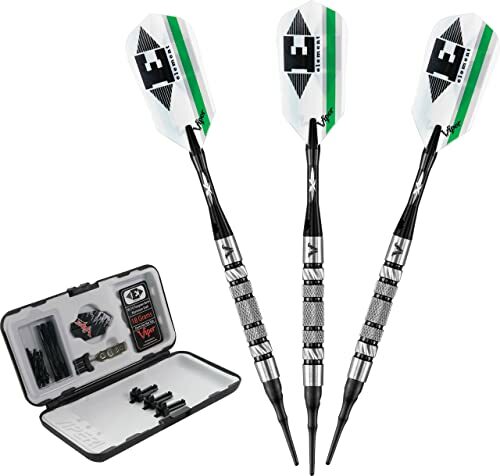 Choosing the Best Darts To Buy is always the right thing to do. So consider buying these darts and you will be set and not upset. You won’t be disappointed as you will enjoy every moment of playing darts game with family, friends, and colleagues while using this darts.